The original novel by Stoker reflects the Victorian sensibilities that were still exerting an influence in the final years of the nineteenth century. An Irish journalist, Bram Stoker drew on the fifteenth century vampire legend that grew to surround an actual historical figure in Central Europe as he penned his famous novel. The original novel by Stoker reflects the Victorian sensibilities that were still exerting an influence in the final years of the nineteenth century. Thus, the role of the church as guardian of virtue and source of punishment for sin is a dominant theme. Interpretations offered by many scholars insist that the Dracula portrayed in Stoker’s novel represents “the grotesque reverse image of Christ”, a clear reference to Satan as the ultimate evil just as Christ is the ultimate good. Others who have written essays on Stoker's Dracula argue that Stoker’s original count was “a pestilence, the lord of bats and rats,” with a touch that was “not romantic but rabid”. Still other research papers suggest that the original character elicited a delicate balance of revulsion and sympathy. Lauding Stoker’s intuition that “classic horror is close to tragedy,” some research papers describe the original title character as capable of drawing both pity and fear from the reader. Regardless of which of these characterizations of Stoker’s vampire one accepts as accurate, many research papers seem to have attempted a more sympathetic conceptualization of the count than that originally intended by the Irishman. Write a literature research paper on Bram Stoker's Dracula and argue for one of these depictions of Dracula. 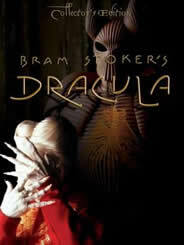 Paper Masters writes custom essays on Bram Stoker's Dracula and explore many themes in the novel.